"I love this dentist office. I won't go anywhere else to get my teeth cleaned now!" "Always have a good experience. Staff and doctors are great." "Great experience! Staff was on it and very professional!" "The offices are very well organized and the staff is incredible." "Great staff and Dr. Lee is the bomb! Will be back!" "Great dentist and great staff! Our little boy now loves to go see Dr. Lee!" "Dr. Clyde Lee is the most HONEST, trustworthy, clean, and professional dentist." Be sure to schedule your regular check-up, where we can help with early detection with a routine oral cancer screening. Let's put an end to this disease! 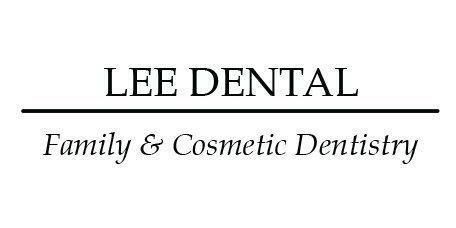 Lee Dental, located Frisco, Texas, provides general and cosmetic dental care for your whole family. The practice accommodates both children and adults in a friendly, inviting atmosphere. Dr. Clyde Lee and Dr. Julie Lee believe that bright, healthy teeth are key to a beautiful smile and promise to provide you with superior care. All equipment and tools are sterilized using state-of-the-art methods to keep you safe and healthy. Drs. Clyde and Julie Lee stay up-to-date on current cosmetic dental trends to provide you with superior care and enhance the appearance of your mouth. As long-term residents of the Frisco community, the staff seeks to make you feel welcome as they care for your dental health. "Dr. Lee is the best dentist and they are affordable too. Both husband and wife and their team really care." "My entire family has been going to Lee Dental for the past 15 years. They are small business owners at heart who put 110% into the quality of their work." "Love coming to Lee Dental! Going to the dentist isn't my favorite thing to do, but your whole staff makes it a great experience." "I love Lee Dental :) They even managed a full set of sealants on my (at the time) three year old"
"They serve with excellence, the ambiance is awesome. Looking forward to my next cleaning"